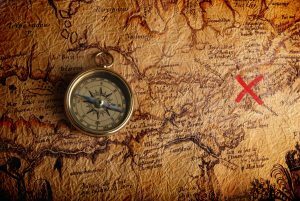 Is sustainability leadership like a treasure hunt? Initially, I didn’t think so, as these two concepts have different characteristics. Treasures generally don’t move, while sustainability is an ever-moving target. Treasures are usually quite tangible and concrete, making it easier to express what you’re looking for than when stating sustainability as a goal. And while both require an investment of time, willpower, and other resources, the treasure hunt usually benefits just a few, while sustainability strives to benefit many. There are so many sides to sustainability. Use your curiosity to explore which topics are most relevant to your organization. 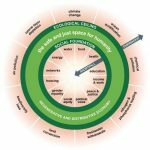 The program highlighted the Sustainable Development Goals, Kate Raworth’s Doughnut Economics, and the circular economy as sources to explore. Emerging technologies could also offer inspiration for areas to explore. One key caution: always start from why. If you don’t know what your why is (at the personal and organizational level), then applying your curiosity to search for treasure isn’t very useful. Organizations (re)act differently to the sustainability challenge. 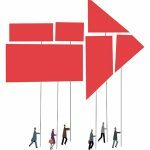 They can be either, inactive, reactive, active or pro-active, according to the model presented by Rob van Tilburg, one of the authors of the book Managing the Transition to a Sustainable Enterprise. Just like in a treasure hunt, nothing happens until someone takes action. 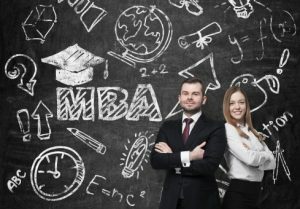 Various models were provided to create strategies and action plans, including inspiring guidance on how to drive change by Peter Senge and an overview of the seven roles of sustainability managers. “Adventure is uncertain”, said our guide for the day in his closing comments, “so prepare for failure.” Several of the other speakers also highlighted failure as a key step along the way. We simply don’t have the time to develop the one and only perfect solution. They, therefore, urged us to test different ideas at a small scale. 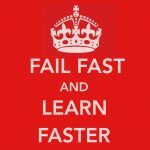 And then to fail fast and learn from these failures to scale up the stronger ideas. And to share those learnings, within the organization and with peers in other organizations. Today’s societal challenges are too complex to be solved by just one person or even one company. Therefore, collaboration is a key factor to succeed. The treasure hunter not only engaged many to fund the project but also engaged many people to contribute their expertise. 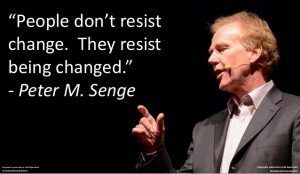 Peter Senge highlighted that successful collaboration depends on the goal setting; finding a balance between the big, stretch aspirational goal and the practical, immediate goals that give people a sense of fulfillment along the way. He also highlighted the importance of relationships, trust, and empathy. Without these, collaboration is usually a waste of time as people are then unwilling to yield their own short-term interests to the larger, shared, long-term goals. With many people involved and short-term goals in place, there are many ways to celebrate achievements and learnings along the way. The treasure hunter celebrated the outcomes of his expedition with his partners and funders. Sustainability leaders celebrate milestones along the journey of integrating sustainability into the strategy. And at the end of the “Sustainable MBA in One Day” workshop? We threw our graduation caps up in the air and toasted to all we learned and the people we met! 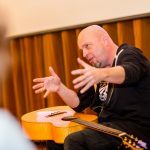 Written by Marjolein Baghuis (@mbaghuis) for the Change in Context blog and The Terrace website. To read about interesting people, book reviews and other posts about sustainability, change, and communications please subscribe to this blog in the right-hand column.